The walk from the hotel to the U-bahn took in rows of tenement buildings. In one of them there was a congregation of young men, all white Austrian, some with muzzled dogs – very unpleasant and intimidating. It was one of those situations when I look inwards and studiously avoid eye contact. I felt restrained and stilted in my movements. At the U-bahn, another troop, this time, young Turkish men. No dogs, but three deep and crouched forward in that familiar Tyson gait, as if ready to spring out. It is an attack pose. These young men had a studied impassivity that was menacing. It was my evening out at Haus of Industrie to listen to Mozart and other Viennese music. The building was baroque- an interior with gilded caryatids against exquisite plaster cast relief decorations. There were marble panels on the walls. I assumed that the focal point, the portrait was of the Emperor Franz Josef. Above him were the Muses; one with a scroll and the other with an amphora. The ceiling was frosted glass, laid out in geometric fashion. The space rich, opulent and severe all at the same time. It lacked warmth and it expected no frivolity. Exactness, punctiliousness, a correct façade were the hallmark. Elfrieda Jelinek deals with the Janus face of Austria, in particular of Vienna, in her novels. She understands the rigidity and severity, the politeness and elegance, yet she points to the dark underbelly, the lust and violence that are kept from view. The series on the electric chair was a study of loneliness, of the final solitary nature of death & there were whispers of decay, murmurings of pain and despair, mirroring of torture. It was not solely about the dispossessed and dispirited but all mankind in the final, anxious moments when the death knell strikes. All death is, as it were, at the gallows. Now Degas was something else again. Behind the scenes at the Paris opera he captured the inelegant poses of these most elegant women. A dancer sitting and resting, another rubbing the back of her neck and another staring straight out, knees together, slack in repose. Then in the brothel pastels he showed these women at their most natural, most unselfconscious; washing, combing their hair, drying their feet. There was intimacy, sensuality, eroticism, and once again it was inelegance that did the work, that does for us. 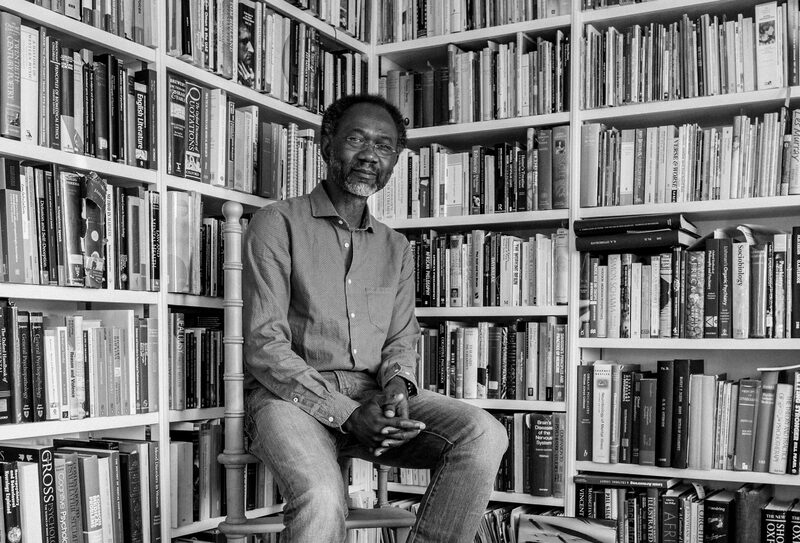 How extraordinary it is that ordinariness is the clue to desire. The slope of a neck, the carrying angle of an arm, how a plump ankle is crossed against a knee- these disparate snapshots of disembodied inelegance catch and clutch at the heart. Seurat’s The Black Bow is an example of what is possible with the barest of resources- points, light and shade. The bow is dense even torrid black behind the dress. The woman’s head is also bowed and covered with a hat. She’s facing a dark wall. The figure was arrested in a pose of penitence, of shyness, timidity and it was arresting to the viewer’s gaze. 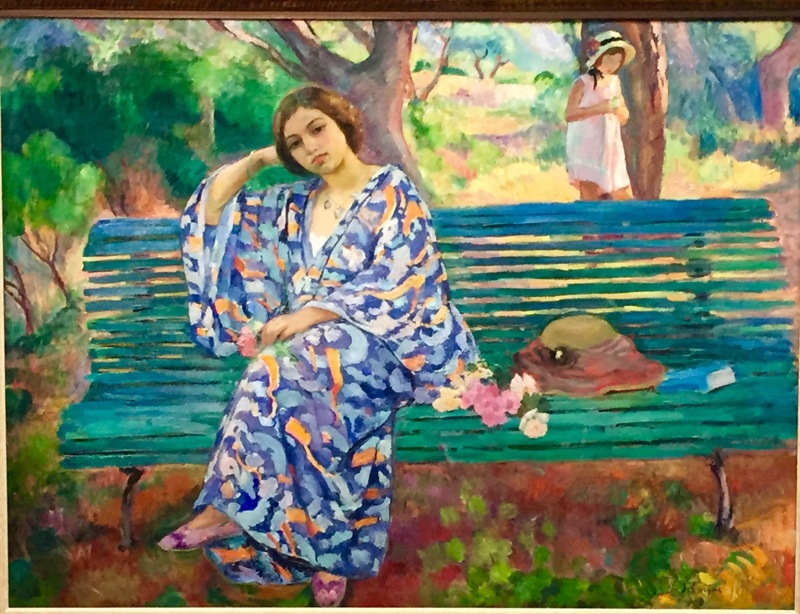 Then Henri Lebasque’s On The Green Bench: was she bored or merely pensive? 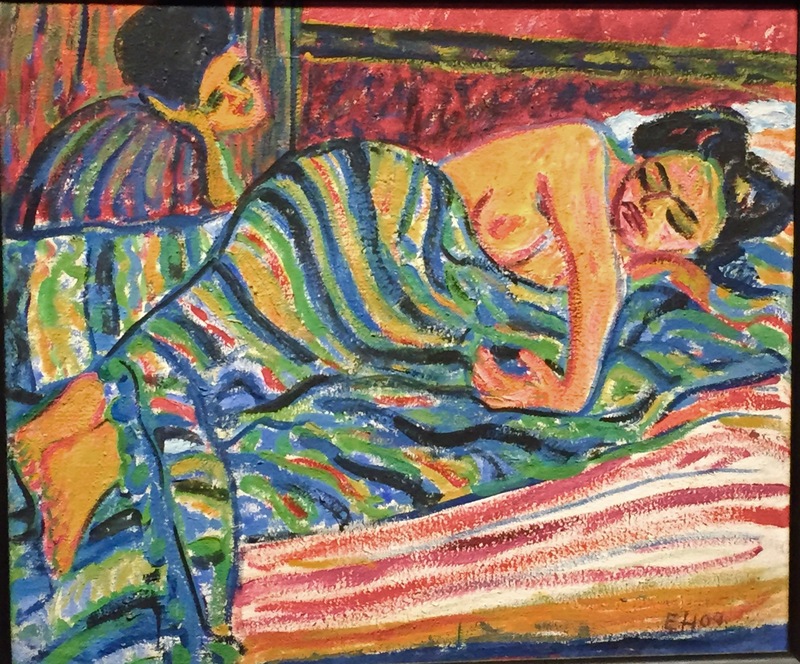 Erich Heckel in Reclining Woman has learnt from Degas the observation of awkward but yet natural poses. The woman has one arm under her left cheek and the other stretched out, rested on the bed, balanced on the dorsum of her wrist. It is remarkable how what is ugly or at least awkward, can come to seem beautiful, to be beautiful. Giacometti ‘s Peace- four women sitting with a blackbird, not the conventional dove! Are they, the women, composed of flowers? 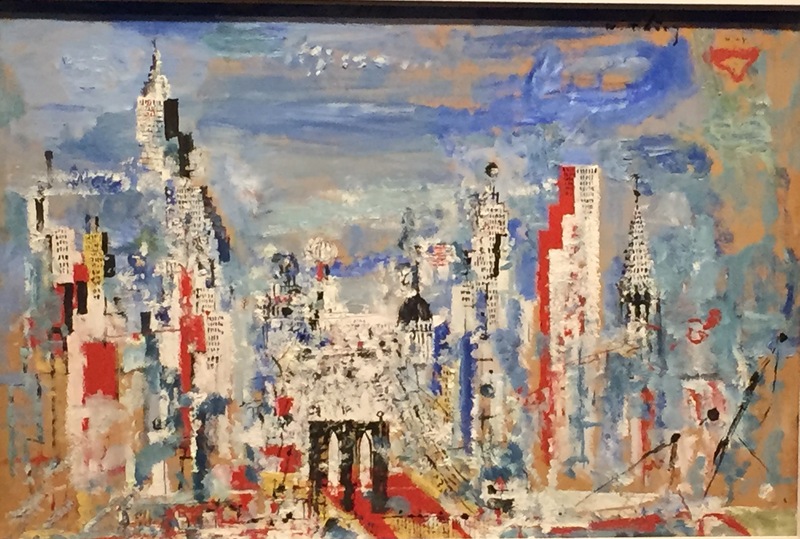 And Wilhelm Thony’s New York, a brash splutter of color, vertical, vertiginous, all skyscrapers, slices of light. This is how a city hides or rather cloaks itself in the murky splendor of its own effluence. 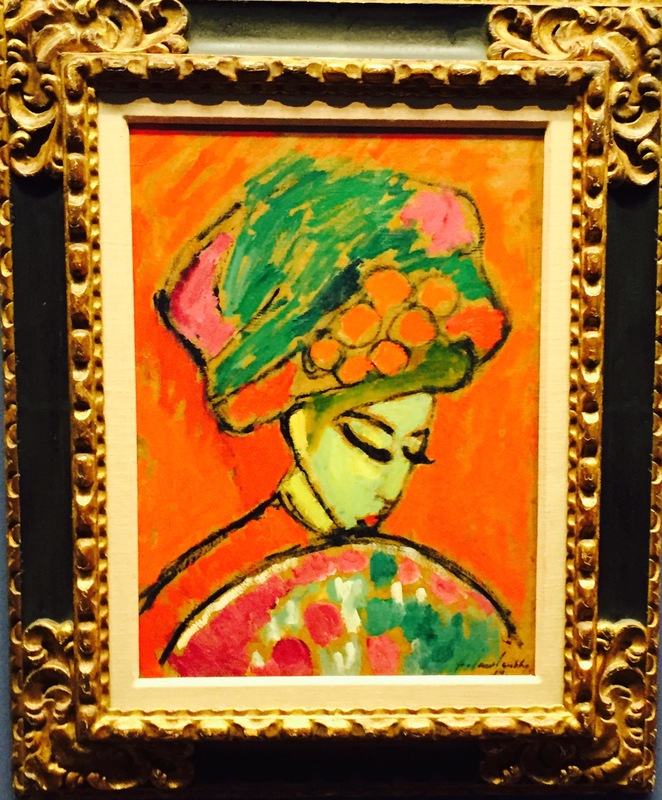 The exaggerated eyelashes cast downwards and the most minimal stoop combine to give Alexey Jawlensky’s Young Girl With a Flowered Hat, a purity and innocence that is eastern in texture and temperament yet she is beguiling in reds and purples. Purity here is not virginal white! Purity is suggested by attitude, by pose, by eyelids. 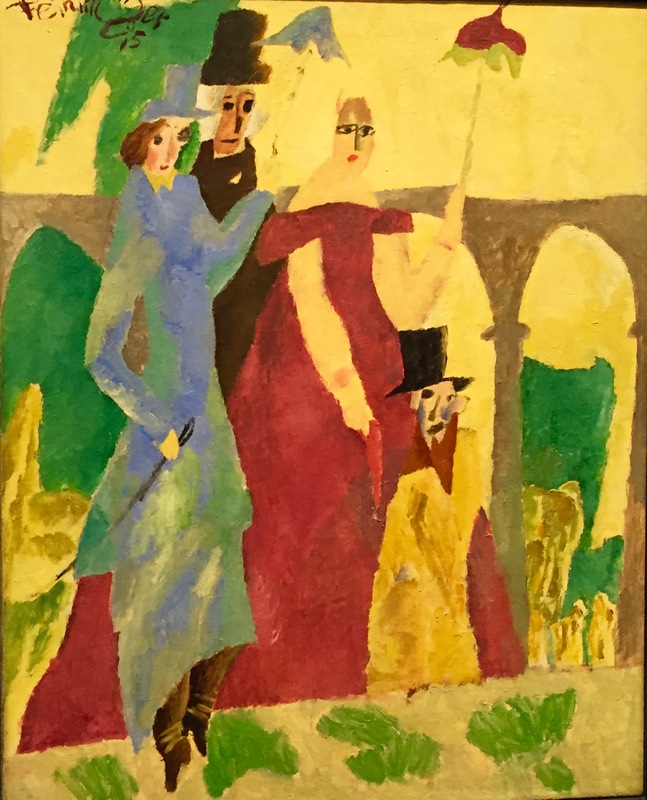 If you’re looking for an illustration for Chekhov’s The Lady With The Pomerania Dog, then Feininger’s Promenade in Arcueil should do very well, thank you very much. It has two couples, the ladies carrying parasols and the men in top hats. One husband could be a dog as he is pretty close to the ground. 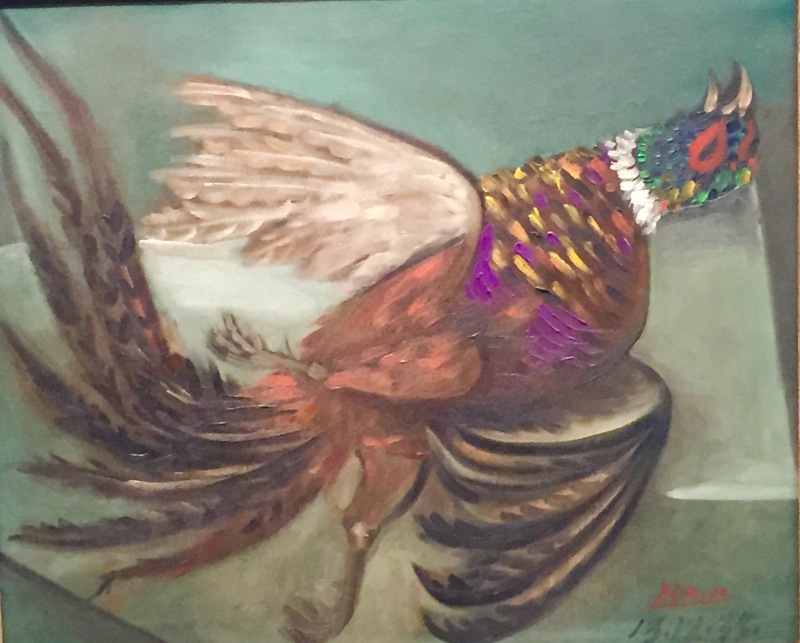 Picasso’s The Pheasant painted in 1938 is all color! The head is green, the eyes red, the breaststroke dashes of brown, yellow, ochre, purple and, the thighs orange. This is an incredible display of gaudy masculinity, all pomp and strident machismo. 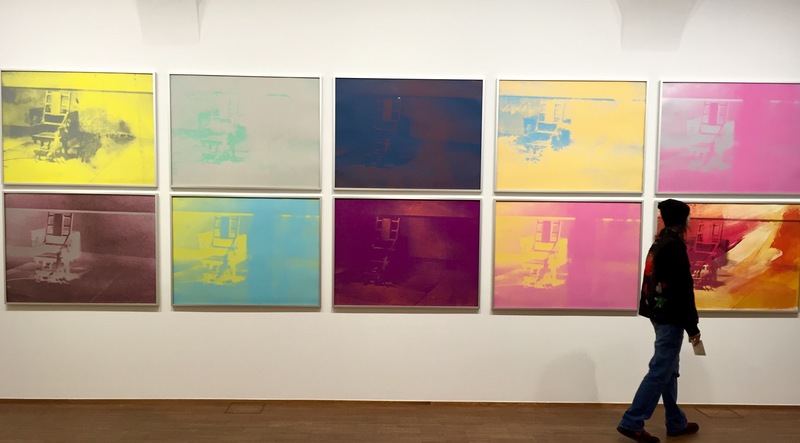 What started out as a pilgrimage to Franz Xaver Messerschmidt’s (1736-1783) sculptures four years ago has turned into a return trip, taking in even more of Vienna. I shall be back. 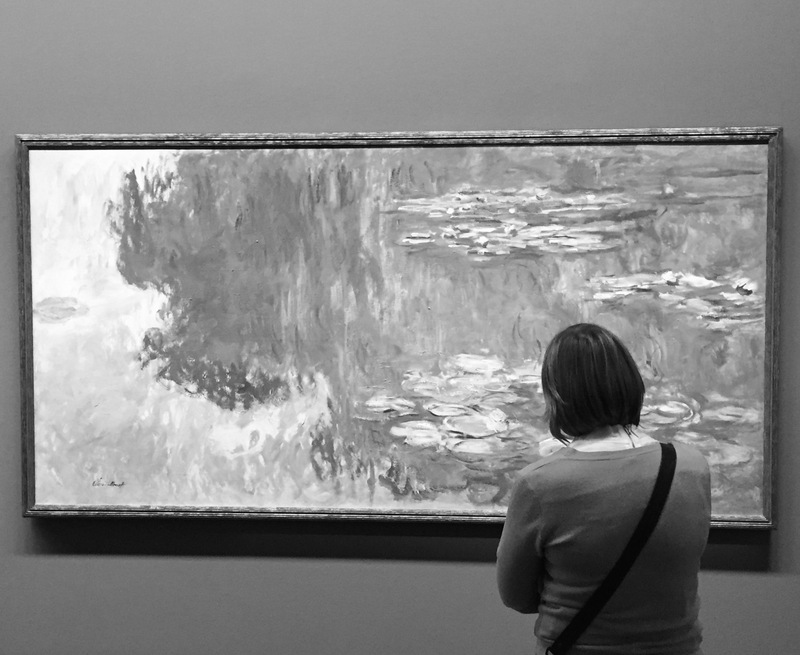 how many “reclining woman” paintings are there in the world? but this one is lovely. looks like crayon. i like the bird too. and the others. i think mao number nine is pretty. Thanks as ever for reading, taking an interest & for your perceptive comments.